Despite great ambition and expense, the modern battlefield is littered with digital devices and systems that don’t operate together effectively, and so it falls on the human to act as the glue between systems in isolated silos with ever greater spend producing ever smaller gain. 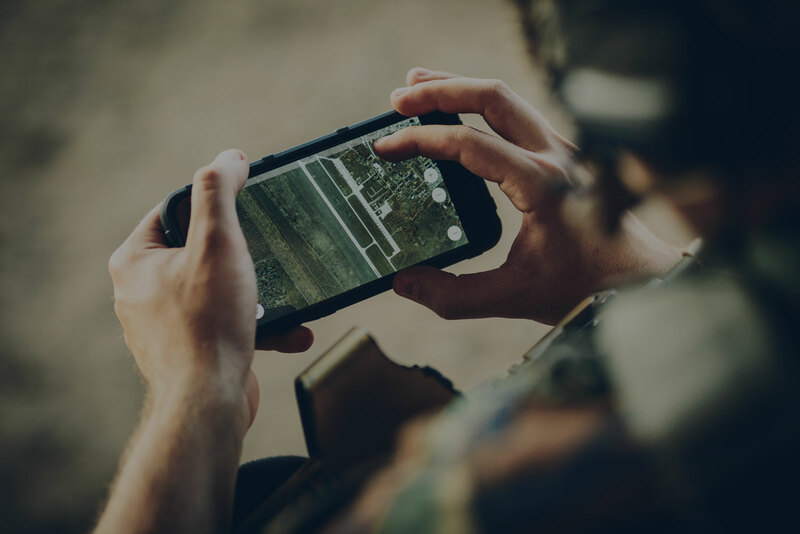 The modern battlefield is characterised by the vast multitude of systems and devices with little commonality, all delivered by multiple vendors. The environment dictates low computing power with low bandwidth interrupted communications. This results in a complex and harsh environment with duplication of systems and functions. With 2iC’s software, these silos can be quickly and securely crossed to enable far greater capability. In only a few days, both legacy and current digital systems can be adapted to expose a range of reusable services that can be accessed and used in an open architecture. These services can then be coordinated to achieve significant business outcomes. Using 2iC’s visualisation tools, a non-technical user can define the required behaviour in minutes and redeploy over the air to all participants in seconds, rapidly changing the interoperability. All this dynamic flexibility is achieved securely, while protecting supplier IPR! An example is a dedicated detection device can instantly send relevant information to cameras and other devices on planes, vehicles or people, which are in a then in better position and better equipped to respond to the threat.